Amir Wain is building i2c into a SaaS powerhouse which is turning into one of the country largest software exporters. 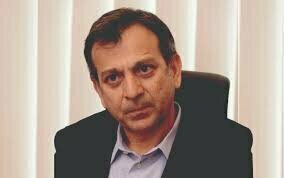 He started his first company in 1987 called Innovative Pvt Ltd, and his third company was i2c, which is one of the leading software company from Pakistan. In a recent interview, Amir talked about his whole idea that started in 1996. According to him outsourced software development model is failed business in Pakistan because every new client assignment starts from scratch and one never really gets a chance to develop his intellectual property. So, he decided to create a packaged software product, and he wanted to develop his intellectual property and sell a single product to multiple customers. He further added that the first was right in direction, but it has its drawbacks as well. The main drawback is that the software needs to support in different environments. The other drawback is that year essentially starts from scratch regarding sales and this challenge is magnified by any downturn in the market. This happens with other IT companies in Pakistan, and they hire up during good times and fire in the bad. Ic2 was the outcome of all the challenges faced by Amir and his associated. To create a business model that was sustainable and stable, they ventured into SaaS (Software as a service). According to Amir, in this model, we don’t build software for customers. Instead, we have built software that runs in our own data centers. Revenue becomes far more stable due to ongoing contracts and the growth is aligned with the organic growth of our clients. According to him, i2c is the most profitable IT company in Pakistan. There are many companies in Pakistan that made around $8-9 billion in profit last year. He said that we make more money than other companies and if someone wants to validate, he can show them.